MACARON, popular French pastry, is displayed in various selections! Well, unfortunately these are not sweets. 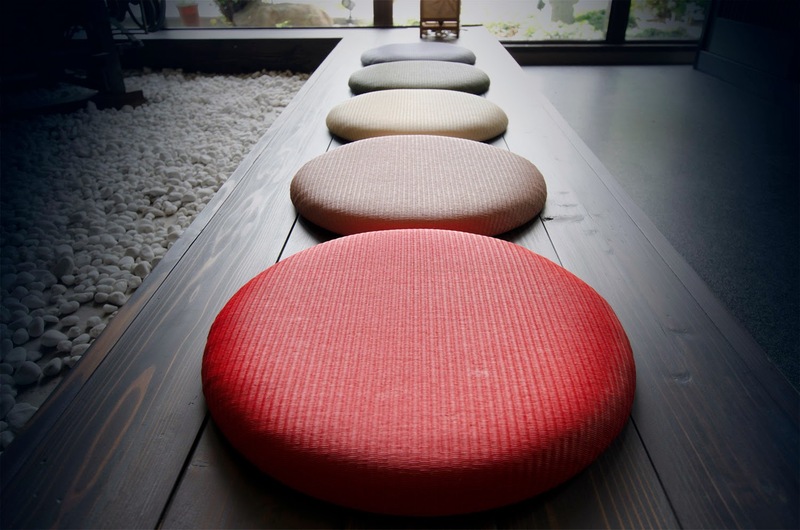 It is a new Tatami-style cushion, MACARON, named after its looks. It is colourful and absolutely stunning, but in fact, its form has a long history. It is said that Tatami has been around for more than 1400 years. Originally, Tatami did not cover all the floor as it does now, but was more like a small zabuton cushion for the seat. It was a luxury item for the nobles; the cushion was treasured when sitting on hard wooden floors as everyone did then as there were no chairs until quite recently. Tatami evolved as a form over time. By the 8th century, it had evolved into the form that we know nowadays, and with the development of Japanese architecture, it gradually became widely available. Since then, Tatami rooms have become a fixed part of Japanese traditional culture that has not changed for thousands of years. 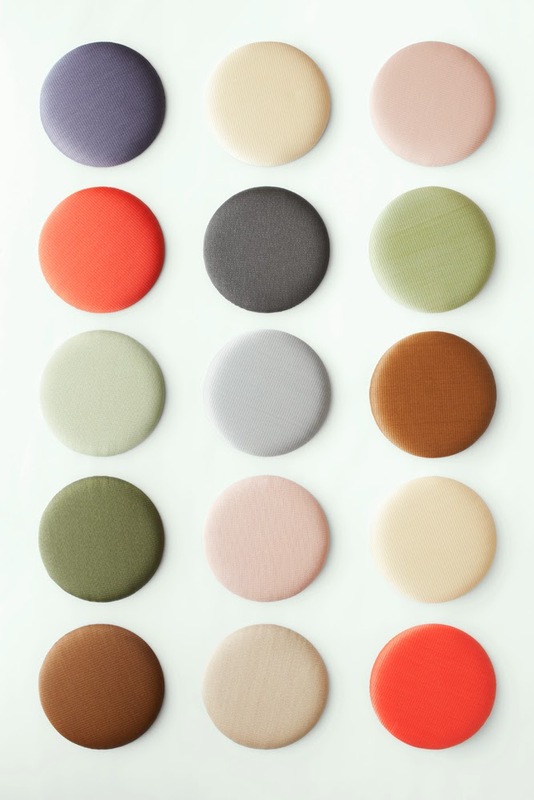 MACARON was developed to revive Tatami's original use. It preserves the ancient cultural of use of Tatami, providing it in a form that suits diverse Modern lifestyles. It fits in any type of house, providing an accent to the room on the floor or on the chair, in a big room or small space. Which colour do you want to pick up for your room? How do you want to coordinate them? Watch out - they will be available on the site soon!